2014 repress. De Natura Sonorum (1975): Premiered at the Salle Wagram in Paris on June 3rd 1975. A suite of 12 movements, divided into two series of six. "The first series comprises six related movements, usually organized in pairs, electronic sounds with instrumental and more rarely, concrete sounds: Incidences/resonances bring into play controlled resonances akin to sounds of concrete origin in a process that helps to expand the variable electronic sound sources. Here, 'incidents' are opposed to one-off 'accidents' in the second movement: 'Accidents/Harmoniques' ('Accidents/Harmonics'). In the second movement, very short events of instrumental origin change the harmonic tone of the continuum they interrupt or overlap. Moreover, the high notes are underplayed, which stimulates the attention given to other phenomena generally hidden by the melodic form applied to the instrumental play. 'Géologie sonore' ('Sound Geology') is similar to a flight over an area where different 'sound' layers come to the surface one after the other. When seen from high above, instrumental and electronic sounds seem to fuse. 'Dynamique de la resonance' ('Dynamics of Resonance') is a microphonic exploration of a single sound resonating through different forms of percussion. 'L'Etude élastique' ('Elastic Study') places together various sounds produced by 'touching' elastic or instrumental skins (balloons, doumbeks) or vibrating strings and a number of instrumental gestures close to this 'touch,' using electronic processes to generate white noise. 'Conjugaison du timbre' ('Conjugated Tone'), the last movement in the series, uses the same substance to apply rhythmic forms onto a perpetually varying tone continuum. The second series of movements draws its inspiration from concrete and electronic sources rather than instrumental ones. 'Incidences/battements' ('Incidences/ Beatings') is a reminder of the first movement in the first series, which then quickly moves into 'Natures éphémères' ('Ephemeral Natures'): an ephemeral play on instrumental and electronic sounds, singled out by their internal trajectory rather than by the material itself. 'Matières induites' ('Induced Matters'): just as molecular effervescence triggers changes of state, it seems that the different states of these sound materials can be generated by each other or through induction processes. In 'Ondes croisées' ('Crossed Waves'), the pizz vibrations interfere with somehow 'visible' water drops on the surface of a similar material. 'Pleins et déliés' ('Downstrokes and Upstrokes') can be listened to as the energies absorbed in the motion of bouncing bodies, while hollow 'bubbles' and points bring together some people's gravity and others' downwards movements. The work finishes with 'Points contre champs' ('Reverse Angle Points'). Here, the notion of perspective of the different sound threads weaving a kind of network, or field, traps the occasional iterative elements in the foreground and progressively absorbs them, giving more space for the angle -- and the chanted sound -- to grow." 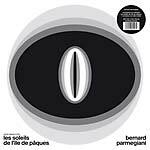 --Bernard Parmigiani; De Natura Sonorum whose title echoes Lucretius' De rerum natura, similarly explores the multiplicity of sound possibilities. This profuse work, with countless discoveries and dazzling intuitions, has influenced several generations of composers and remains a truly seminal piece in the experimental music soundscape. 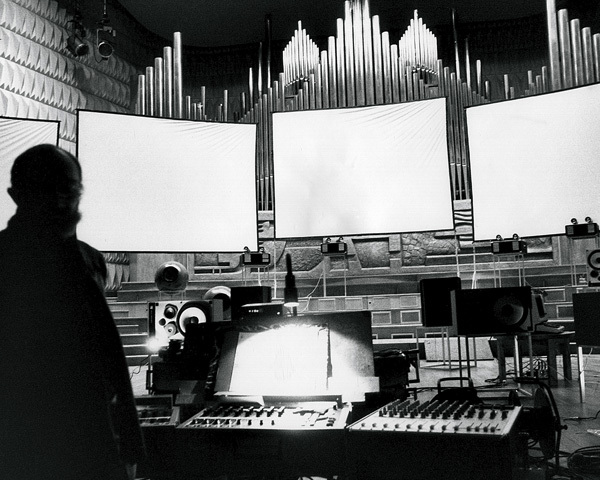 De Natura Sonorum, one of Parmegiani's masterpieces, has left an indelible mark on the classical period of electroacoustic music. At last, it is being reissued on vinyl and for the first time this includes the whole of its 12 movements." --Christian Zanési & François Bonnet. Housed in a gatefold sleeve. 2014 repress. L'Oeil écoute (1970): "From the very first moment, caught by the musical tone heard from inside a train, the trip offered by this piece, woven with different materials, triggers in us various climates able to give our imagination power over sounds: the power to guide them through our secret mazes rather than to blindly follow them like Panurge. This form of (auditory) contemplation thus attempts to enable us to lose ourselves outside our far too familiar and usual territories. Perhaps, in looking too hard, man eventually stops listening. And, as I said when creating the piece in 1970, the eye, now a 'solitary wanderer' only has ears for what assaults it." Dedans-Dehors (1977): "When listening to the sound material, we metamorphose the inside into an outside. This notion of metamorphosis is one of the principles that leads the course of the musical suite, reflecting changes (fluidsolid passages: water/ice/fire) or movements (ebb/flow/wave, inspiration/expiration) or inside-outside passages (door/individual/crowd). Thus, the perceived object is not entirely what we would have liked it to be. Our music brings us closer to some while it takes us away from others: each with their own inside." 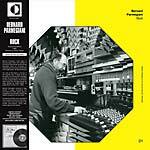 --Bernard Parmegiani; Cut by Rashad Becker at Dubplates & Mastering, Berlin, June 2012. 2006 release, presenting 3 versions of "Plain-Temps". Classic new work from the most important INA GRM composer. The first part of the suite, "Le Present Compose" is from 1991, recorded here in 2006. "The second part is "Entre-Temps" from 1992. "The gradual slowing down of the tick-tock sound of a penduluum with which the this piece opens provides us with not only the most symbolic but also the most illusory image of the passing of time. This is followed by by a constantly changing continuum, apparently homogenous and harmonious yet ultimately fragile. In the ever wider intervals that open up between these carefully-timed happenings, soundscapes appear. These resemble certain image-memories of everyday events, some close, some distant." 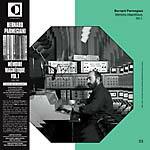 -- Parmegiani. Part three is "Plain Temps", from 1993, recorded in 2006. 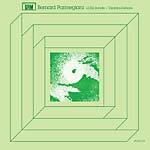 Finally reissued, with new artwork; this has been the most in-demand electroacoustic CD for the past few years. 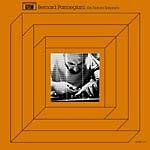 Parmegiani is one the electroacoustic superstars of the INA GRM universe, and along with various Bayle titles this is a great place to start with the label. This amazing double CD is broken up into 2 parts: the first disc consists of old-style tape-splicing electroacoustic material, dating from 1963 to 1976 ("Violostries," "Pour en Finir avec le Pourvoir d'Orphee" & "Dedans-Dehors"). The 2nd disc represents post-computer acousmatic music, with works from 1986 to 1991 ("Rouge-Mort:" "Thanatos," "Exercisme 3" & "Le Present Compose"). All are thoroughly soaked with the intuitive power of brain-scanning sonic properties, tones fade and explode with stunning neuronic intensity. "Exercisme 3" features "a sort of interface enabling natural sounds or analogical synthetic sounds to release digitally synthesized sounds. Such and such a series of impulsions releases virtually aleatoric, and sometimes very varied, repetitions of digital sounds. These repetitions are often very 'dense' and take us to the limits of continual sound phenomena, thus making these 'factory sounds' lose their instrumental 'soul.' Thus, we suddenly swing from one domain to another, from the instrumental to the electroacoustic, from a language we understand, to an 'unknown language.'"